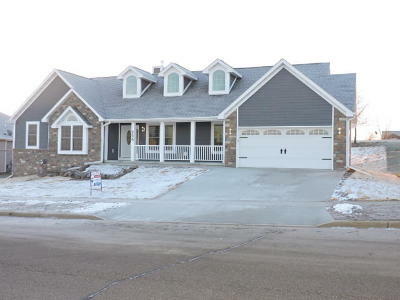 Spectacular 5 bedroom builder's home ranch! Open concept great room, vaulted ceiling, tons of natural light, Hickory flooring, granite counters, kitchen/bath slate floors, Hickory cabinets, solid Alder doors, stone gas fireplace, master suite with vaulted ceiling, walk-in closets, LL family room with 3rd full bath, dual HVAC zones, LP SmartSide exterior. Builder selling due to health issues.